Established in the year 1992, at Coimbatore (Tamil Nadu, India), we “Cheran Rivets”, are known as a prominent manufacturer, trader, wholesaler and retailer of premium quality Brass Fasteners, Stainless Steel Fasteners, Mild Steel Fasteners, etc. Our firm is a Sole Proprietorship (Individual) based company. Also, all our business process is controlled under the supervision of our Proprietor “Viral R. Chandaria”. We have a sophisticated infrastructural base that sprawls over a wide area. Our infrastructural facility includes functional departments like procurement, manufacturing, quality control, research & development, transport & logistics, etc. Installed with advanced tools and machines, this infrastructural base helps our production department to process these products with premium quality. 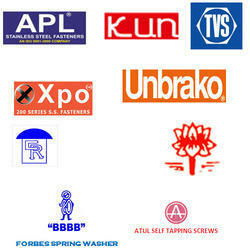 With our years of industry experience, we are capable of providing high quality range of products.